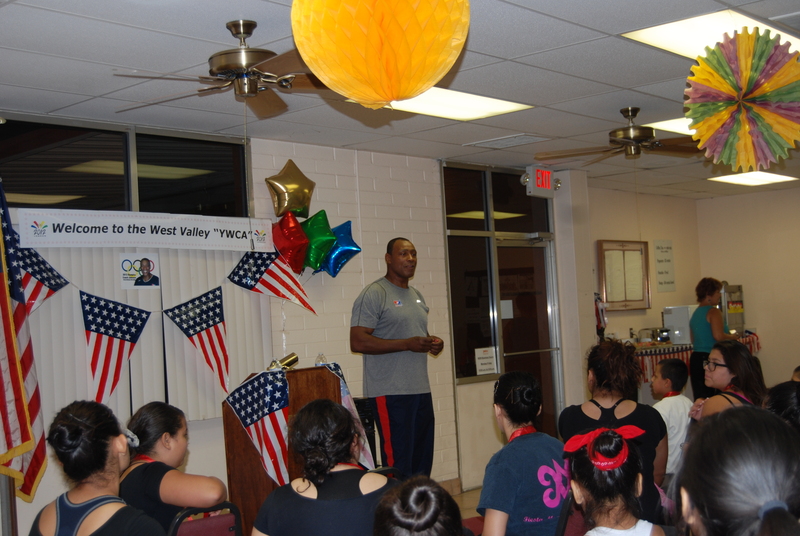 YWCA in collaboration with DEFAP/Fiesta Mexicana had the honor and pleasure of hosting a lecture by James Johnson, Coach for the 2012 Olympic Wresting Team. Coach Johnson spoke to youth and teens about his Olympic experience and overcoming adversity. He has coached past U.S. Olympic, U.S. World and U.S. Senior Greco-Roman teams, including the Hungarian Grand Prix the last three years. A winner of two Pan American Championship gold medals and a silver medal in the 1991 Pan American games, a four time winner of the World Cup Championship Medals in Greco-Roman wrestling and runner-up in the 1992 U.S. Olympic Trials, Johnson is a three time National Champion of the USA National Wrestling Team. The James Johnson Award, an annual recognition given to the top senior scholastic wrestler in eastern North Carolina, honors the former high school wrestling star from Greenville. A sports consultant and coach for the Arizona-based Sunkist Kids Wrestling Club, Johnson headquarters at the YW Phoenix facility training wrestlers and elite athletes.